Insurance fraud is a costly business. Insurance companies, the government, and other entities work to detect and deter insurance fraud. Because fraud is not always detected it is hard to estimate just how expensive the losses truly are. Often fraud schemes are not reported or caught. According to The Coalition Against Insurance Fraud’s website: http://www.insurancefraud.org/the-impact-of-insurance-fraud.htm#.V0InRfkrK70 at least 80 billion dollars in fraudulent insurance claims are filed annually. Insurance fraud can take many forms from staged car accidents to false workers compensation claims. There are typically two types of insurance fraud: hard and soft. Hard fraud is a deliberately fabricated claim while soft fraud is adding fraud to a legitimate claim. The fight to detect and prosecute fraud is important as the cost of fraud is high and potentially dangerous. 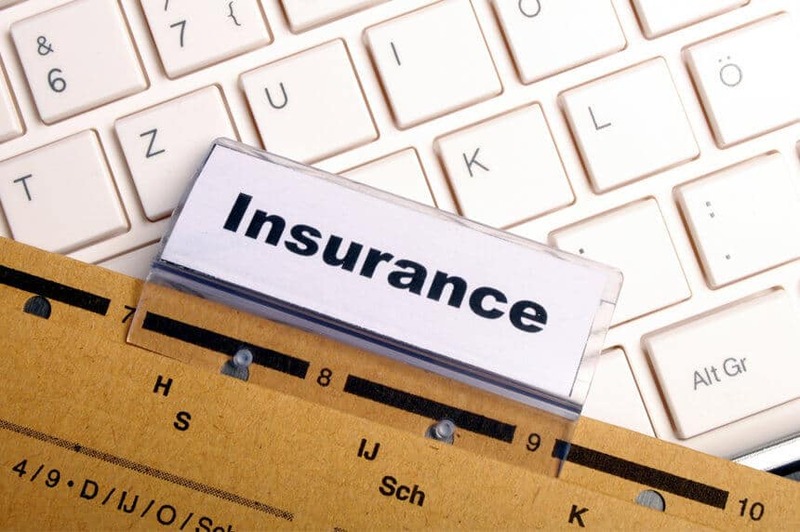 There are some common insurance schemes that are widespread and impact different types of insurance. A staged car accident: A driver and accident victim work together to cause an accident. Then they inflate their injuries and damages to collect larger settlements from the insurance companies. With some of these schemes a witness and physician may be in on the scam while other times it may be just a driver and accident victim. This type of fraud can be dangerous to innocent bystanders who may be impacted or injured in the staged accident. If into a real one, here’s what to do after a car accident. Stolen car/items: A person claims that his car or valuable item is stolen when in reality it has been sold. The person then collects the proceeds from the sale and the reimbursement from the insurance company. Health insurance fraud: Health insurance fraud can take many forms but a common version is a doctor or medical practice bills the insurance company for procedures that never took place. Another form of health insurance fraud is ordering unnecessary tests for the patient and overbilling the insurance company. If you ever feel that your doctor or health care practitioner is ordering unnecessary tests, ask for an explanation. Many times patients are unknowingly involved in health insurance fraud. Arson: Home and business fires are unfortunately common. If a person or business owner is in financial trouble and desperate sometime arson seems like a solution. A home or business owner will remove the most valuable or sentimental items from the home or business and will hire someone to burn the building down. Storm fraud: Some homeowners will take advantage of opportune circumstances. If a severe storm hits, a homeowner may exaggerate, or make up altogether, the damage done to the home. This is often an example of soft fraud, with the homeowner exaggerating the original and valid claim. Faking a person’s death: A person fakes his or her own death for the financial gain of the beneficiary. The life insurance policy is paid out and both people typically disappear resurfacing with new names in a new town. With so many schemes out there, insurance companies have to use every tool available. There are many ways that Insurance companies detect fraud. Analytics and Technology: Insurance companies often rely on statistical models to detect fraud. If an individual or company has a high number of claims or unusual circumstances it may be flagged by the insurance company’s software for further review. Insurance companies are also starting to leverage technology such as analytics and social media to pull together all available information. It is not uncommon for an insurance company to look you up on Twitter, Facebook and other social media to help verify that you are not lying about the circumstances of your claim. Common Sense and Typical Red Flags: If you submit a claim that doesn’t make sense or looks highly suspicious the insurance company will investigate. For example, if you own a business that has a large insurance policy and it is struggling financially and there is suddenly a fire that burns your business down to the ground, the insurance company will want to investigate. Increasing the amount of insurance shortly before filing a claim is also a red flag. Other flags can be missing police reports, no witnesses, and a long delay in filing a claim. Claim History: If you have a track record of filing many claims, the insurance companies will scrutinize your claims more closely before paying out. There is a difference between being unlucky and dishonest. The more claims you have filed the more red flags that are raised and the insurance companies will invest more resources in investigating. Cooperation: According to the Consumer finance website: http://www.consumerfinance.gov/askcfpb/1821/do-auto-and-homeowners-insurance-companies-share-my-information-about-claims-and-policies.html there are specialty consumer reporting agencies that collect and share information regarding insurance claims you have filed. The insurance companies have access to these reports and use them to decide whether to issue you a policy, establish your rates, and help detect fraud. An example of a specialty report is CLUE (Comprehensive Loss Underwriting Exchange). CLUE is a database of claims made by LexisNexis. CLUE’s auto insurance database tracks your loss history including your contact information, claims paid, claims unpaid, and any serious inquiries made. This means that all insurance carriers have the same access and information to your prior claim history. The good news is you can get a copy of your CLUE report and see what information is there. The insurance carriers also have access to your motor vehicle record. Driving infractions on your record such as tickets or accidents will be accessible to all potential insurance carriers. Once an insurance company is alerted to a possible case of fraud, a special investigative person or team is assigned to investigate. An investigation is held to either verify or disprove the claim. If the insurance company is able to prove a strong case of fraud, the company may deny the claim, revoke the person’s insurance policy or get the police involved. Depending on the circumstances insurance fraud can be prosecuted as a misdemeanor or felony. Insurance fraud creates increased premiums which are passed on to all policy holders. It can also be dangerous to innocent people and the insurance companies take fraud seriously. They use every tool at their disposal to fight and prosecute fraud. If you suspect insurance fraud, you can contact the insurance company directly or call the National Insurance Crime Bureau at (800) 835-6422.